Talent Only Magazine is back! 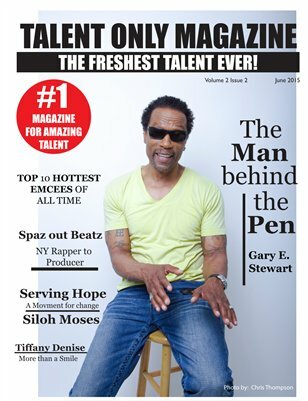 Our explosive June issue featuring movie writer and self published novelist Gary E. Stewart is phenomenal on the front cover. Also featuring model/singer Tiffany Denise and rapper turned producer Spaz Out Beatz! Get your copy today!